Shaun O’Gorman has worked with hundreds of individuals over the past eight years to assist them in creating amazing lives. The life experience and knowledge he has gained overcoming the tough times in his own life he now uses to help other people do the same. Shaun has developed extensive skills in mentoring and coaching his clients to take the actions to create the results they desire. Whether it be in business, career, relationships, self-confidence, stress management, resilience development or leadership. 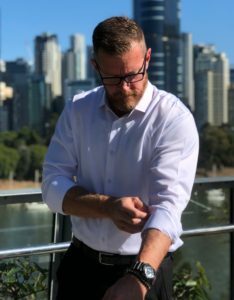 His unique experience from 13 years as a frontline Police Officer, 15 years in a successful corporate career, eight years coaching and mentoring clients, as well as 16 years of his own personal development and education, leaves him with exceptional skills to assist his clients. 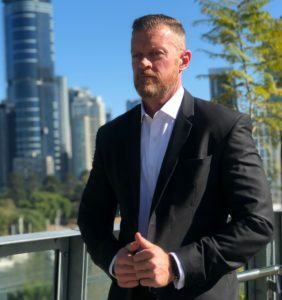 Shaun has worked with owners of multi-million-dollar businesses, corporate executives, lawyers/barristers, professional athletes, senior management executives, team leaders, small business owners, Police Officers and Soldiers, high school teachers and students, as well as many other individuals. More recently Shaun has also worked with teenagers who have been struggling with aspects of their life which has ignited a passion for helping more young people. The combination of Shaun’s broad-ranging experience and education is extremely rare. He never set out to coach people, he only wanted to “fix” his own life. But along the way realised he was very good at helping other people. His no BS approach to identifying the underlying issues and developing a plan to change them has a profound impact on his clients. It is not a matter of IF Shaun can help you, it is a matter of whether you are prepared to do the work necessary to turn your situation around. Shaun only works with a very limited number of people at any one time. The average time spent working with him is 6 – 12 weeks. He will develop a specific structure to suit your needs.